We are one of the leading companies that supply exports and trade a quality range of Forged Pipe Fittings. These equipments are precision engineered and ensure long lasting service life. We are offering these fittings in different sizes and specifications. As a renowned organization, we are engaged in offering a wide range of Nimonic Alloy 75 Bars to meet the needs of our clients. These products are well known for their attributes such as high mechanical strength, durability, smooth functionality and technical accuracy. Our products are highly durable and are resistant to rust and corrosion. 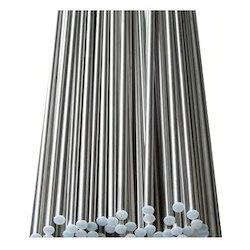 This nimonic alloy product is manufactured with finest quality material and cutting-edge techniques under the direction of vendor’s experts in compliance with the set standards. The offered nimonic alloy product is available in diverse specifications as per the precise needs of customers within the promised time frame. With the years of experience and expertise, we are engaged in offering a wide range of Steel Couplings to meet the needs of our clients. All these products are widely appreciated for their attributes like high tensile strength, easy maintenance, durability and excellent finishing. These are widely used in various industries like engineering, automotive, paper and print. Monel 400 is a nickel-copper alloy (about 67% Ni – 23% Cu) that is resistant to sea water and steam at high temperatures as well as to salt and caustic solutions. Alloy 400 is a solid solution alloy that can only be hardened by cold working. 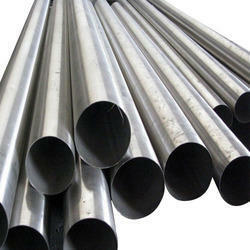 This nickel alloy exhibits characteristics like good corrosion resistance, good weldability and high strength. A low corrosion rate in rapidly flowing brackish or seawater combined with excellent resistance to stress-corrosion cracking in most freshwaters, and its resistance to a variety of corrosive conditions led to its wide use in marine applications and other non-oxidizing chloride solutions. This nickel alloy is particularly resistant to hydrochloric and hydrofluoric acids when they are de-aerated. As would be expected from its high copper content, alloy 400 is rapidly attacked by nitric acid and ammonia systems.